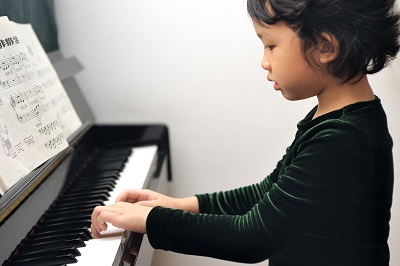 The room where the piano should be placed should not be subject to extremes of temperature or humidity, but should have a steady temperature of about 21 degrees Celsius and 50% humidity. The owner may have to buy a humidifier to control the humidity into the room. It shouldn’t be placed near registers, heating or air conditioning units, fireplaces, swinging doors or in direct sunlight. It should not be put in the basement unless the basement is climate controlled and above grade. Pets should be kept away from the piano as much as possible. One good beginner piano is the Yamaha U1, with its solid spruce soundboard, bass strings wound in solid copper and balanced action. 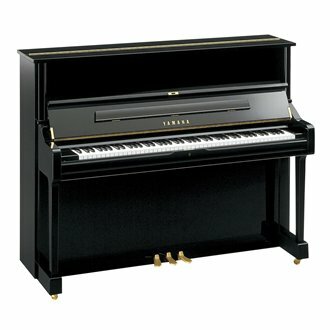 Others are the Sonata Modern SP108 Upright Piano and the Yamaha B series B1 or B2 Upright. A very good digital piano is the Kawai CN25 Starter Piano, which has piano style pedals and educational features. Other recommended digital pianos are the Yamaha Arius series or the Casio Privia series. These digital pianos have a feel and sensitivity that are close to an acoustic piano’s and deliver good dynamics. Unlike an acoustic piano, a digital piano never needs tuning.